Lizzie Stewart Norrie Kohlert (née David) was born in Kirriemuir, Angus, Scotland on February 8, 1945. She immigrated to Canada with her family in 1954. Norrie married Bob Kohlert at St. Paul’s Lutheran in Yorkton Saskatchewan. They made their first home in Outlook, but continued following Bob’s career to Swift Current where children Michael-Anne and Paul were born, Edmonton, Victoria, Prince George, back to Victoria, Regina and finally back to Vancouver Island to stay. Norrie was an active supporter of all the kid’s activities and travels, opening her home to many young people who considered her their second mum. 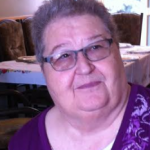 After the kids were grown, Norrie started a career with Deine’s Microfilm in Victoria and established an office in Regina where she spent 12 years and retired as manager in 2001. She was active at the “Y” in Regina. 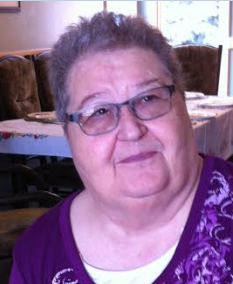 Health problems followed Norrie for many years, but she always portrayed a positive attitude toward life and accepted the challenges with patience and courage. Each day was a blessing in her books. The recent wildfire smoke in the air caused some difficulty breathing and Norrie was admitted to the Saanich Peninsula Hospital. On the evening of August 24, 2018, her lungs failed and Norrie peacefully and quickly left this life. Norrie was predeceased by her parents Ann and Stewart David, and leaves to mourn her husband of 52 years Bob Kohlert; daughter Michael-Anne Noble with son-in-law Wade Noble and grandson Steven Arthur; son Paul Kohlert with granddaughter Alexis Rose and her mother Tammy Hoban; sisters Ann Oudekirk and Shona Carlson (Rick); brothers Ron and Blayne (and families); sister-in-law Judy Niebergall (Lorne); brother-in-law Ken Kohlert (MaryBeth); nephews Jeff Niebergall (Tyra), Clinton Oudekirk, Colin Niebergall (Kathy) and Ian Kohlert; and niece Emily Kohlert. The family wishes to express their appreciation to all the Doctors and Nurses that cared for her in Regina, here in Victoria at the Royal Jubilee and Saanich Peninsula Hospitals, and especially those in the Victoria Community Dialysis Centre in Victoria. A memorial service will be held at the Lutheran Church of the Cross on Saturday, September 15, 2018 at 1pm. In lieu of flowers, the family requests that donations be made to the Kidney Foundation of Canada.